Puriflow Filter's Three Way Triflow Water Filter Taps are of the finest quality, fully pressure tested, of solid construction and available in a great range of styles and operational types. 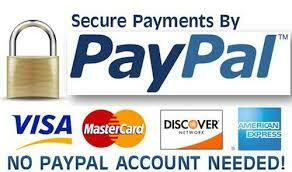 All taps are supplied with a five year guarantee on valves and one year on the finish. There are many situations where an extra tap or a hole in the worktop is not desirable and in these instances the use of a three way or triflow filter tap represents the ideal solution. The highly practical three way tap replaces the existing kitchen tap and as it's name suggests has three channels, hot & cold water and filtered water. 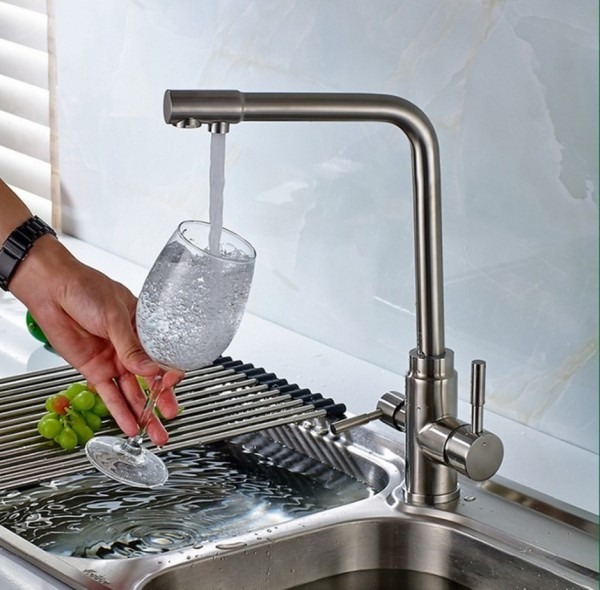 We have an extensive choice of elegant designs suitable for all styles of kitchen and which can be used with a wide selection of water filter kits, ensuring you get not only a tap that is right for your water filter needs, but also compatible with your kitchen sink or worktop. 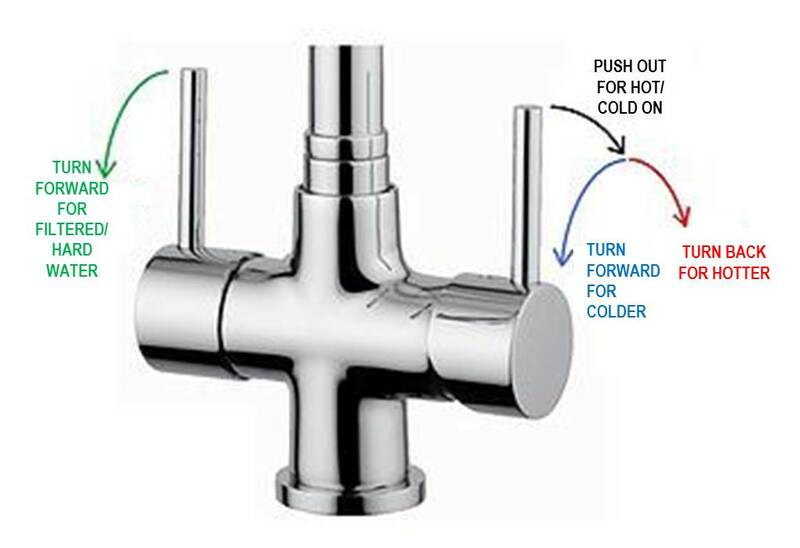 If you have a gravity fed hot water system (this is where the hot water in your kitchen is fed by a upstairs hot water tank), then your options are somewhat more limited within the 3 way taps range, in these situations the Brita models and the Franke Filter Flow range of taps would provide the best solution. Please note that all the taps are available individually, without a filter kit and each tap listed below also has the option to add some pre-defined filter kit packages, but are suitable for adding any water filtration system such as inline undercounter and reverse osmosis systems, from the extensive range on offer at Puriflow. Osmio Kensington Chrome Dual Cross 3-Way (Tri-flow) Kitchen Tap The Osmio..
Osmio Sofia Chrome Long Reach 3 Way Triflow Kitchen Tap This Long-Reach..
Osmio Vitalia Chrome 3-Way (Tri-flow) Kitchen Tap The Osmio Vitalia Chrom..